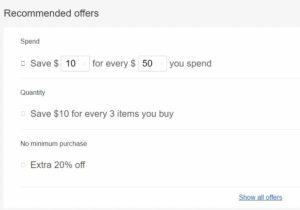 I’ve had so much success with eBay’s Promoted Listings that I decided to give their Promotions a try. I wanted to offer up a BOGO on Ties…buy one, get one at 50% off. I’ve got over 400 men’s ties to move and I’m ready to sell these things! 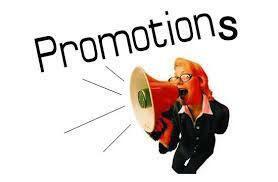 Getting a promotion set up is almost as easy as a promoted listings campaign…almost. There are a few more steps, but nothing that’s not easy to overcome or deal with. If you’ve got some old and stale inventory you want to move, try creating a campaign…there are several ways you can do it. Here are some step-by-step instructions to getting your first promotion up and running. Click on the MARKETING Tab on your Seller Hub dashboard. Then click on PROMOTIONS. 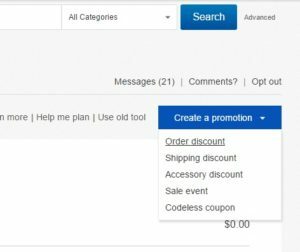 On the right side, click on the blue CREATE A PROMOTION bar, then click on ORDER DISCOUNT. Next select one of the three options in the large boxes. I chose MOVE OLDER ITEMS on the far right. Click on the blue SET OFFER DETAILS bar on the right side. 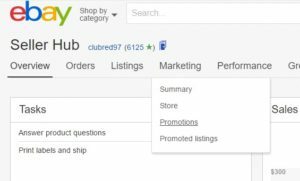 Click on the SHOW ALL OFFERS link in the middle of the page to see all the sale variations eBay’s created for you. I scrolled down to the BUY ONE, GET ONE option and click on the BUY 1, GET 1 at 20% OFF option. 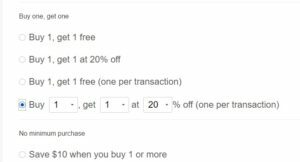 You can adjust these numbers and percentage, which I did, changing 20% off to 50% off. Easy Peasy. Click the blue SELECT ITEMS bar in the lower right hand. 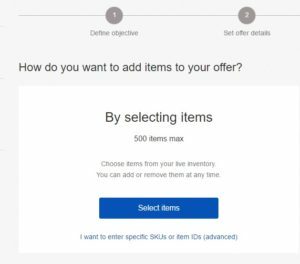 Decide “How do you want to add items to your offer?” I selected BY SELECTING ITEMS and clicked on the blue SELECT ITEMS bar. This is where I had a bit of trouble navigating the process. I wanted to select my store category “Men’s Clothing: Ties” You have to hover your mouse over the top of the window and wait for the CATEGORY OPTIONS to appear. 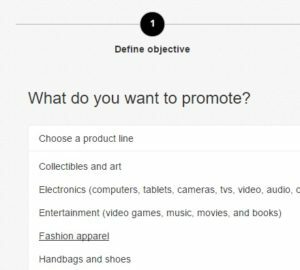 You have three choices: eBay Categories, Store Categories, All Inventory. 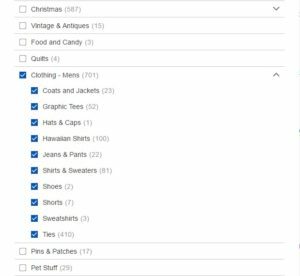 I clicked on STORE CATEGORIES. Scroll down through the list of your store categories and select the one you want. I clicked on CLOTHING – MENS. That selects all the subcategories under that so I had to de-select everything except TIES. Your list of items in the category you selected will appear individually, 200 at a time with a check box to the right. You can go through and individually select each item you want to promote or you can select the box at the top of the list, to the left of “ITEM” and that selects all 200 ties in one stroke. Scroll down to the bottom of the page and move to page two of your listings. Each promotion is limited to 500 items, so keep that in mind. Repeat steps 12 and 13 until all of your items have been selected. Double check that all of your items have been selected by reviewing the number selected to the right of the blue CONFIRM SELECTIONS button in the lower right. 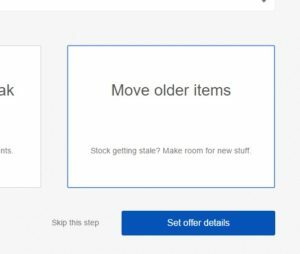 Next eBay offers you three images to choose from for the promotion. My choices where a black boring tie, a blue boring tie and a tie with a little color and pattern. I clicked on the tie with color and pattern to select it. The last step is to click on the blue LAUNCH button. That’s all there is. You’re done and you’ve created your first Sale Promotion! Give it a try and comment how you did.